When I was younger I used to love reading, one of my favourite authors was Allan Ahlberg. I’m pretty sure everyone has heard of him, he’s done a lot of children’s books (over 100) including The Jolly Postman, Burglar Bill, Funnybones, Each Peach Pear Plum, and many more. So when we were recently asked if we would like to review his new book I was super excited. 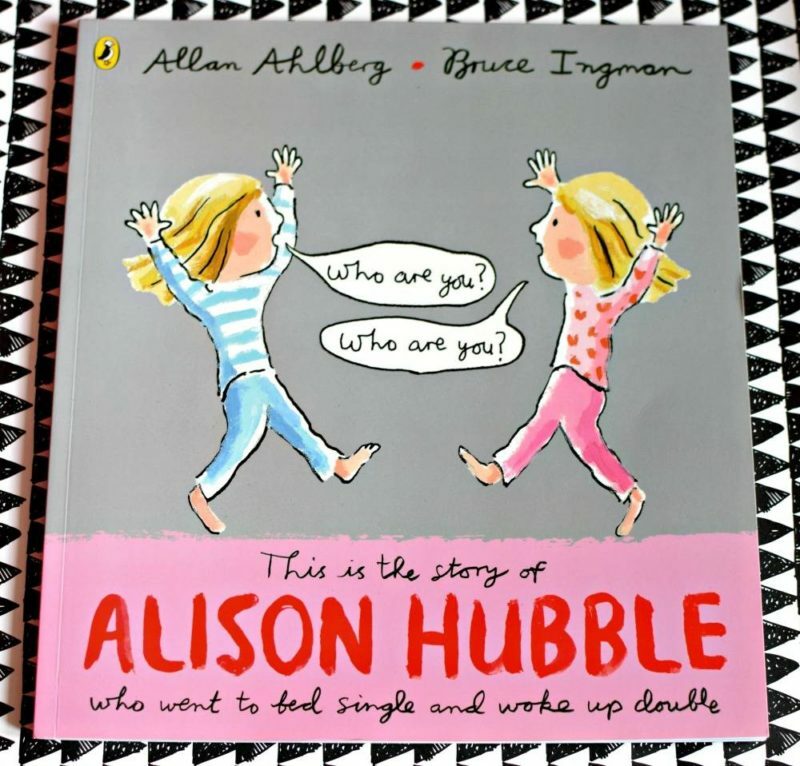 This is the tale of Alison Hubble, who went to be bed single….and woke up DOUBLE! 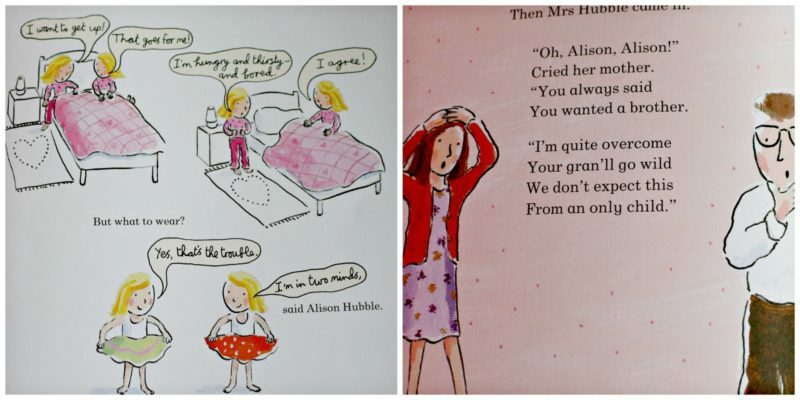 If you have read anything by Allan Ahlberg before you will know his style – clever and funny with hidden jokes for parents to enjoy, this is no different. One night Alison goes to bed, when she wakes up she suddenly finds she has doubled, but she doesn’t stop there, she just keeps on doubling! I don’t want to give too much of the story away but it’s basically a tale of how Alison, her parents and everyone else cope with the never ending doubling. The illustrations are great and this is the fourth time Bruce Ingham and Allan Ahlberg have worked together. Whilst Clem is still a little bit young to understand the story fully she enjoyed looking at the pictures and both Jesse and I enjoyed the story. We were both laughing by the end of the book. It’s definitely going to be one we read a lot. If you want to check out this surreal and hilarious tale of mathematical mayhem then it’s out on May 5th. * We were sent a copy of this book for the purpose of this review but all words and thoughts are our own.